In the softball community, Melissa Hodge’s reputation precedes her. The mention of her name conjures up memories of one of the most dominant high school softball pitchers the state of New Jersey has ever seen. She was the fifth pitcher in NJSIAA history to record 1,000 career strikeouts. 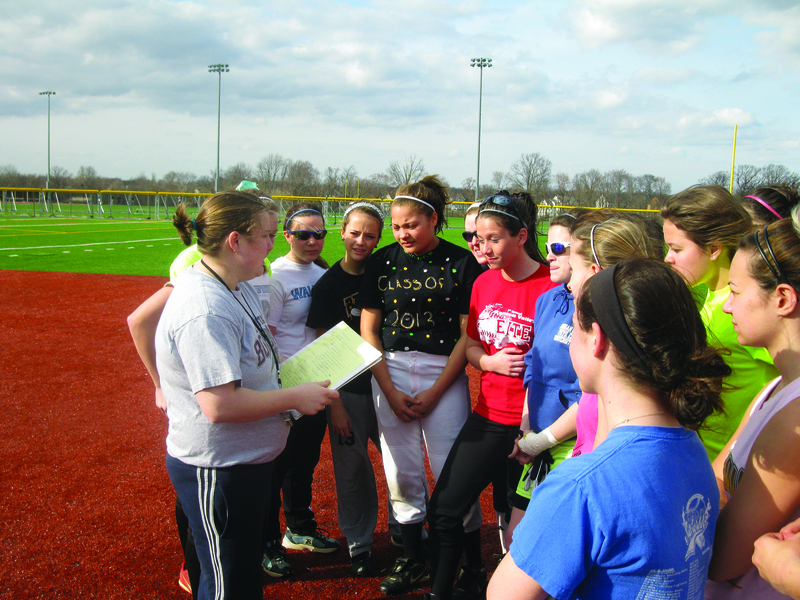 That same name could soon bring excitement and energy to the Bordentown High softball team as Hodge takes over at the helm for the 2012 season. Hodge brings with her as much winning experience as any one coach can. As a four year member of the varsity softball team at Hamilton High West, Hodge led the Hornets to the state finals as a sophomore, struck out 1,084 batters in her career, including a state record 30 batters in a 13-inning playoff game and was named the CVC Player of the Year as a senior. Her high school achievements earned her a full scholarship to Division-I Hofstra University where she was named to the All-Conference team as a senior. Despite Hodge’s outstanding resume, the Scotties almost missed out on landing her as their head coach. After graduating from Hofstra, Hodge began personal instruction at Diamond Nation in Flemington, Game Time Performance in Hamilton and offered 1-on-1 personal instruction to aspiring softball players. It wasn’t until Bordentown assistant principal Joe Sprague reached out to the softball community did he find who he was looking for. “The position had been posted for a while, and we really did not have anybody interested in it. We just started reaching out to people in the community, in the softball community, and her name kept coming up. She kind of just fell into our lap,” Sprague said. After interviewing Hodge, it became very clear to Sprague, and the rest of the hiring committee, that she was a perfect fit for the team. Rebuilding the Scotties’ program is not going to be an easy task for Hodge, but it’s one she looks forward to. Hodge is particularly encouraged by the early performances of senior Sam Martinez and freshmen Caitlyn Nitschmann and Hannah Gavin. “Sam has stepped up as a leader already. She knows it’s her last year and I think she is going to go all out. I’m excited to see what she can do at the plate and in the field for us,” Hodge said. Nitschmann and Gavin garnered similar praise from the first-year head coach. Nicole Shepherd is going to carry the bulk of the load for the Scotties’ pitching staff as the lone senior pitcher, while the offense will count on the left-handed slapper-style hitting of Ashley Pandolf, who also plays outfield. The Scotties will receive a baptism by fire this season when they scrimmage perennial Mercer County power Steinert High School, and then open their season against the defending Group I State Champions New Egypt Warriors and Central Jersey Group I runner-up Florence.